Cornerstone of this church laid in 1881. Dedicated in 1884. 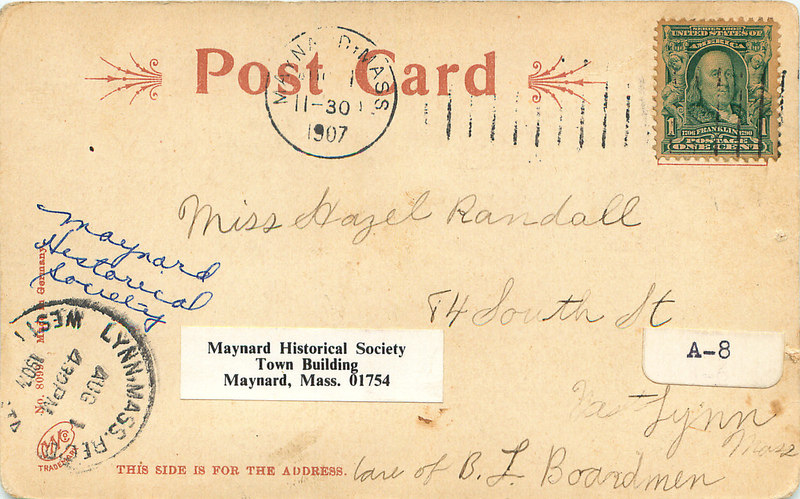 Mass often said in proviate houses in Assabet Village until Union Hall was built in 1887 which was then used. 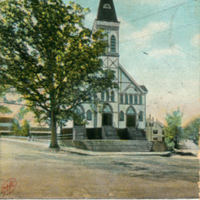 A church was erected on upper Main Street (near 195) and dedicated in September 1866. The present church has been completely rebuilt in front twice. 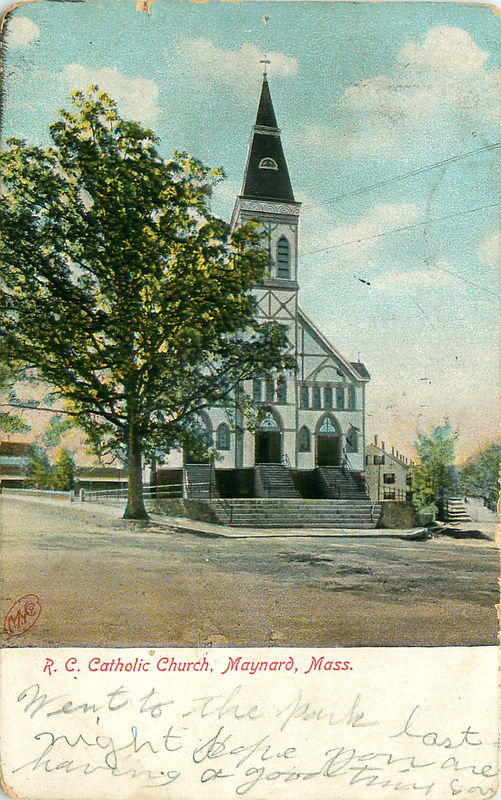 In the early history of the village, Catholics were served by a parish priest of Saxonville, St. George’s Parish, many of them walking back and forth on Sundays. 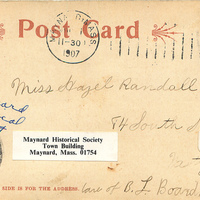 “Saint Bridget Roman Catholic Church - 1907,” Maynard Historical Society Archives, accessed April 25, 2019, http://collection.maynardhistory.org/items/show/343.